Buried amongst the deluge of releases forever challenging the capacity of an independent blogger was this little gem which immediately rocketed up to the attention ladder. Considering where the music of Laney Jones fits is a curious activity, but one demanding multiple plays of a record embedding itself within your DNA. The press blurb hails Laney as an ‘Americana songstress’, while just prior to penning this review, Rolling Stone proclaimed her as ‘One of ten new country artists you need to know right now’. Neither really do her sound justice, but I’m going to join the fray by stating that if Courtney Barnett had an extended stay in the US then she may morph into Laney Jones. There is an appealing dead pan starkness portraying the reality of Laney which permeates every inch of this new record and appears set to draw plenty of attention. This self-titled release from the Florida raised Laney is a fully grounded and earthy album, organic in its content and roots orientated in the infrastructure. It calls at many genre points without outstaying its welcome, yet maintaining a plain speaking approach to song writing. There is a natural charm to this music, possessing cool and sultry elements while certainly being more suburban than country. Laney herself has been well-schooled at the prestigious Berklee College of Music and brings an uncontrived sophisticated edge to her song writing in an attempt to bridge the gap between the icons of the craft and her generation. The track chosen to spearhead the release is a split choice as it far from represents the substance and sound of the complete record. While ‘Allston’ has an infectious vibrancy about its sound, it does mask the more refined moments which will entice fans of the wider Americana movement. The challenge is to seek the inner beauty of this song, but for those perhaps searching for a slightly lower key depth can choose any other three of the first four tracks. The indie-focussed ‘Bad Luck Charm’ stands out for me with its neat structure and a cool guitar bit at the end. It also planted the first likeness to Courtney Barnett, albeit without the crashing guitars. Album opener ‘Do You Want’ wastes little time in drawing you in and by the time ‘Who Could Love’ has sunk its teeth into you, the hook is complete. The repetitive strains of ‘who could love a fool’ adorned with oodles of subtle banjo make this track an integral piece of the album’s jigsaw. Track #5 ‘Work it Out’ has previously surfaced in the 2014, but this version appears slightly re-worked and is a continuation of the good stuff as the record launches into its second half. The heavily roots influenced ‘Troubled Mind’ complete with harmonica kicks off side two when/if the album gets a vinyl issue and is an excellent continuation of the superb material guiding you through the early stages of a record maturing with each listen. If ‘Allston’ is Laney’s stab at pop then ‘Fire Walk’ sees her wander in a totally alternative direction with no less appeal and possibly a little clarinet detected. This diversity to Laney’s music has previously attracted the attention of roots aficionados No Depression. ‘Lonesome Soul’ and ‘The Simple Truth’ see Laney in contemplative mode in the album’s latter stages as the record really finds its groove fully sealing the deal of a release to be reckoned with. This chapter of Laney’s recording career closes with the age old theme of ‘Endless Summer’ and its dreamy vibes perfectly conclude a record that reveals different nooks and crannies with each listen. With its March 11 release date approaching, Laney is still requesting a little help to finalise the unwrapping of this gem and giving it a small amount of assistance is the least to offer in light of the pleasure derived from endless plays of the advance digital copy. 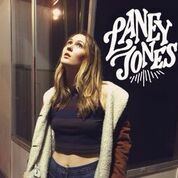 With a prevailing wind and the common sense approach of serious music fans, success is looming for Laney Jones and my parting advice is to check out all ten tracks at the earliest opportunity.